Phosphates have been the primary cleaning agent in dishwasher and laundry soaps for a long time. 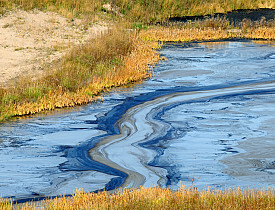 As of July 2010, 16 states restricted phosphate content in cleaning products to 0.5 percent. Until that time, companies could get away with up to 8.7 percent. Unfortunately, low phosphate dishwasher detergent, while better for the environment, has proven to be lackluster in many cases in its ability to clean. Here is some overall information about low-phosphate cleaning products and how they work in dishwashers. Q. Why are phosphates in dishwashing detergents being banned? A. Phosphates are noted to cause an increase in algae bloom as well as other aquatic plant life. More algae equals less oxygen for other aquatic life, i.e. fish. In other words, your spotless glasses can be a contributor to the death of rivers and streams. While statistically, most phosphates that leak into our rivers and streams come from urban and agricultural sources (such as animal waste and fertilizers), Americans add a significant phosphate load from dishwashing detergents. Sewage treatment plants and private septic systems are able to remove some of the phosphates, but not all. With bans on phosphates spreading across the country, companies have begun reformulating their products at a fast pace. There are no bans on commercial dishwashing products. However, most professional dishwashers use high temperatures (160 degrees) to clean and sterilize dishware. Q. Which low or no-phosphate dishwasher detergents are the best? A. The most reliable study on this topic was done by Consumer Reports following the announcement of the bans on phosphates in dishwashing detergent. Twenty-four low to no phosphate dishwasher detergent products were tested. The top products in their tests came in the form of tables and pacs. Gels tested the lowest in cleaning ability. Top brands included several produced by Finish (previously known as Electrosol), Cascade Complete, and Cascade Dawn Action Pacs. Numerous low to no phosphate products have been on the market for years produced by “green” companies such as Seventh Generation. Citradish Automatic Dish Detergent and BioKleen Free and Clean Automatic Dish Powder also did well in tests. Q. Are low to no phosphate dishwasher detergents compatible with most dishwashers? A. Dishwashers are not harmed by low to no phosphate dishwashing detergent, and nearly all will work relatively well with these products. Newer dishwashing machines with expanded technology will likely work the best to clean your dishes. Some dishwashers on the market now, for example, “sense” how dirty the dishes are and adjust the power of the water spray accordingly. A film or clouding on your glasses after dishwashing can be caused by the alkalinity of the water (not the type of detergent). Exposure to high alkaline aqueous solution will essentially melt glass over time. “Etching” of glass happens in a similar fashion when flaws in the dishware are exposed as the glass (very) gradually melts. Q. Which states have banned phosphates? A. Illinois, Indiana, Maryland, Massachusetts, Michigan, Minnesota, Montana, New Hampshire, Vermont, Ohio, Oregon, Virginia, Pennsylvania, Washington, Utah, and Wisconsin.